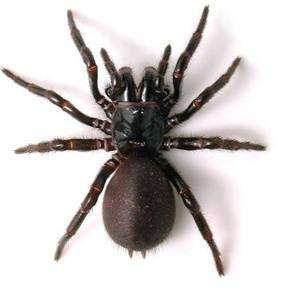 Did you know that Funnel Web Spider anti-venin originated in the Northern Illawarra? Back in 1979, Christine Sturgess, the wife of one of the Bulli Rotary Club members, died from a funnel web spider bite, prompting the Club to open an appeal to raise $250,000, to finance research and education into funnel web spiders. The Club received very strong co-operation from leading bio-chemists, the public, the media, and pest-control companies. Mr. Ramon Mascord co-ordinated the collection of the spiders, and Mr. Eric Woral milked them. These efforts sparked the response which led to the discovery of an anti-venin for funnel web spider bites. A milestone is fast approaching for The Rotary Club of Bulli & Northern Illawarra, as it celebrates its sixty-fifth anniversary next month. Founded in September of 1948, The Rotary Club of Bulli and Northern Illawarra has a long and proud history of helping people locally, nationally, and internationally. In 1987-88, the club designed, supplied and constructed the new lookout at Bulli Tops. More recent projects include the purchasing of a Food-Delivery van for The Denny Foundation for Street Kids, monthly sing-a-longs for elderly local people, and providing furniture Kenya’s only deaf school. e) Helping our Bulli-Woonona Men’s Shed Project develop into a successful community project. A dinner to commemorate the club’s milestone is being planned for a later date.